Sorry I hit the wrong key, but I will repeat the message. I had a sinus infection, diagnosed as an allergy, I went gluten free and problem solved. I tried organic bread from USA, and no trouble. My belief is it is the “roundup “ used in harvesting of wheat that causes my problem. Funny isn’t it that a person would be allergic to poison? 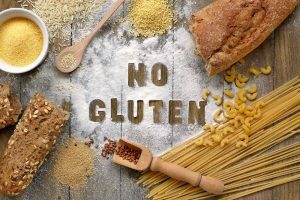 Celiac testing looks for antibodies that would be current in persons who have an reaction to gluten digestion. If you do not eat gluten, you do not create the antibodies.